These Intuitive Healer Earrings are absolutely enchanting! And beyond their beautiful look, they’re alive with powerful gemstone magic. These earrings were wrapped with beautiful gold wire right here at SG Headquarters, with super 7 and tanzanite – two of the most extraordinary gemstones I have had the honor of working with. You truly won’t be able to find magic like this anywhere else, so if you’re looking to hone your psychic and healing abilities more powerfully than ever before, this offering is for you. I believe that intuition and healing go hand in hand. When we’re connected to our intuitive abilities, we gain the power and wisdom needed to bring healing to both ourselves and those around us. 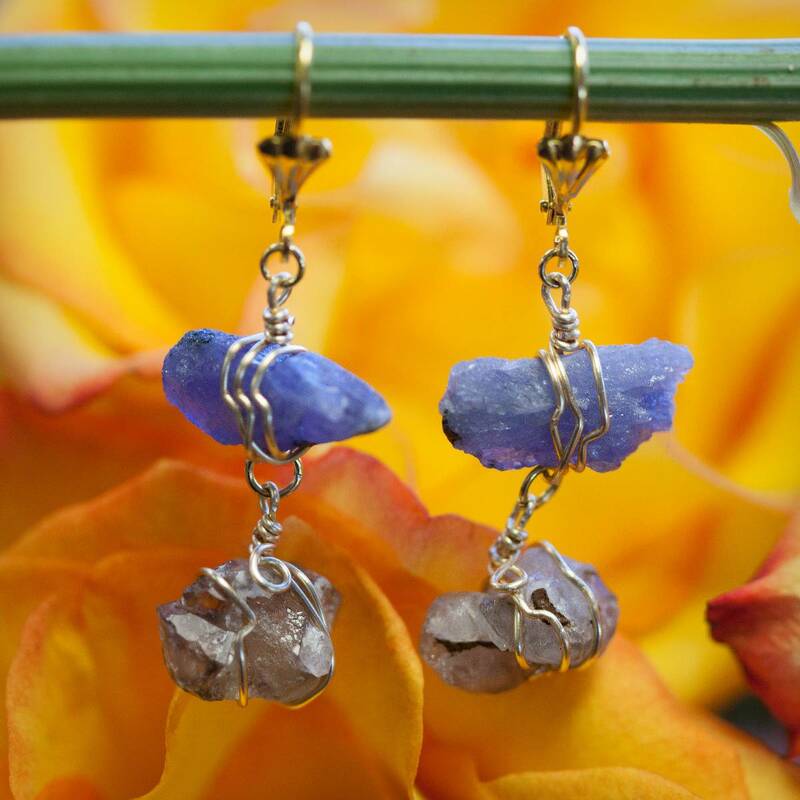 These earrings incorporate the intuition-enhancing and healing magic of two powerhouse gemstones: super 7 and tanzanite. Super 7 is a potent combination of seven extraordinary gemstones: amethyst, clear quartz, smoky quartz, cacoxenite, rutile, goethite, and lepidocrocite. How incredible is that? 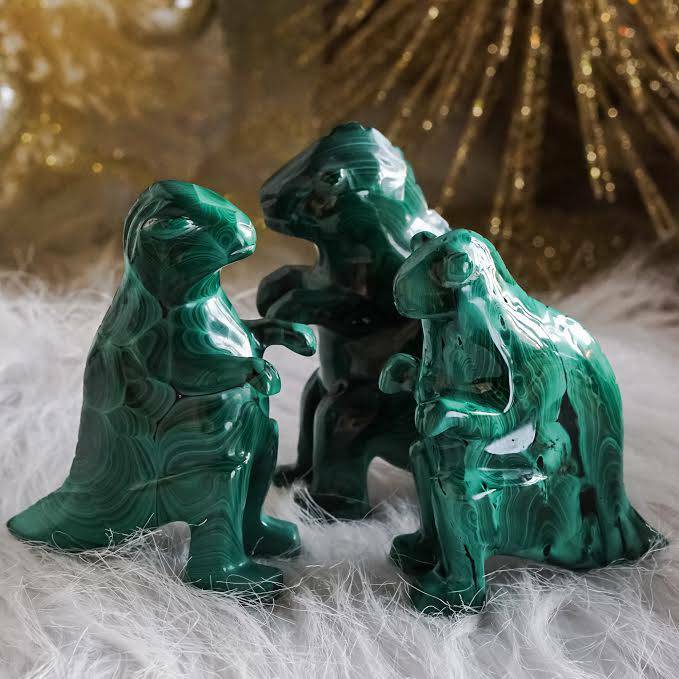 This powerful stone retains all of the healing and intuitive properties of each of its seven components, and provides powerful spiritual balance. The Super 7 in these earrings will bring harmony to each of your energetic centers, and will also deepen your psychic abilities, including telepathy, clairvoyance, channeling, clairaudience, and telekinesis. 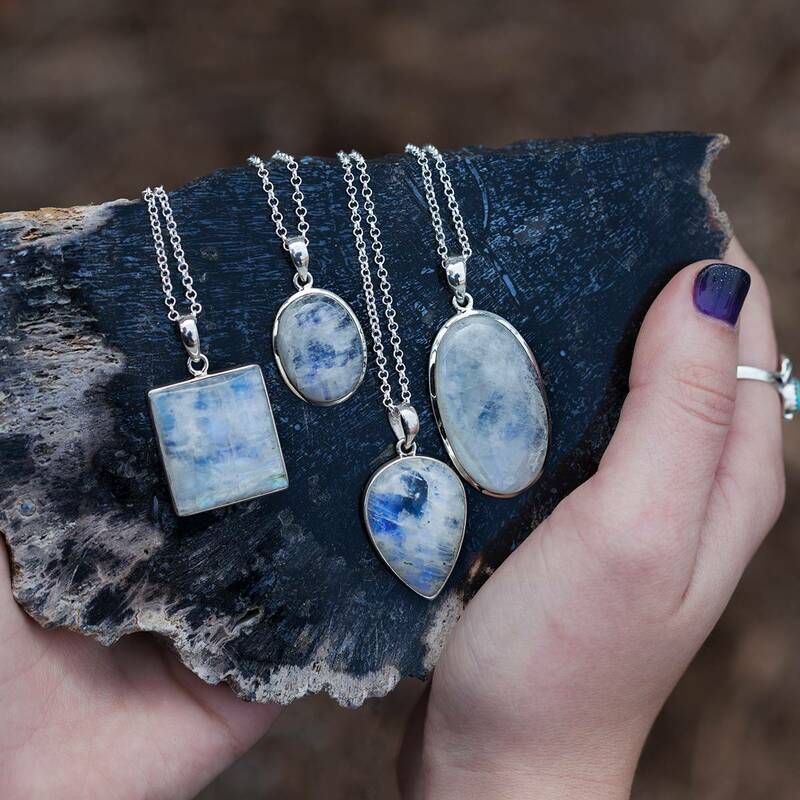 Tanzanite is the premium stone of the Indigo Ray, and it brings powerful enlightenment, peace, and healing. This gem will call in your angels and spirit guides, and bring you a wonderful sense of peace and calm. Tanzanite integrates the energies of the mind and upper chakras with the vibration of the heart – pure gem medicine! Adorn yourself with these beautiful earrings to begin harnessing their sacred magic, and to let your inner goddess shine. These earrings are so special to me, and I know you’ll adore them just as much as I do. This listing is for one (1) pair of Intuitive Healer Earrings. Yours will arrive lovingly parceled along with a single leaf of white sage and cards describing the properties of the stones.